A young refugee living in America learns to see herself as beautiful, in spite of physical and emotional scars from her troubled homeland, thanks to a gifted teacher. 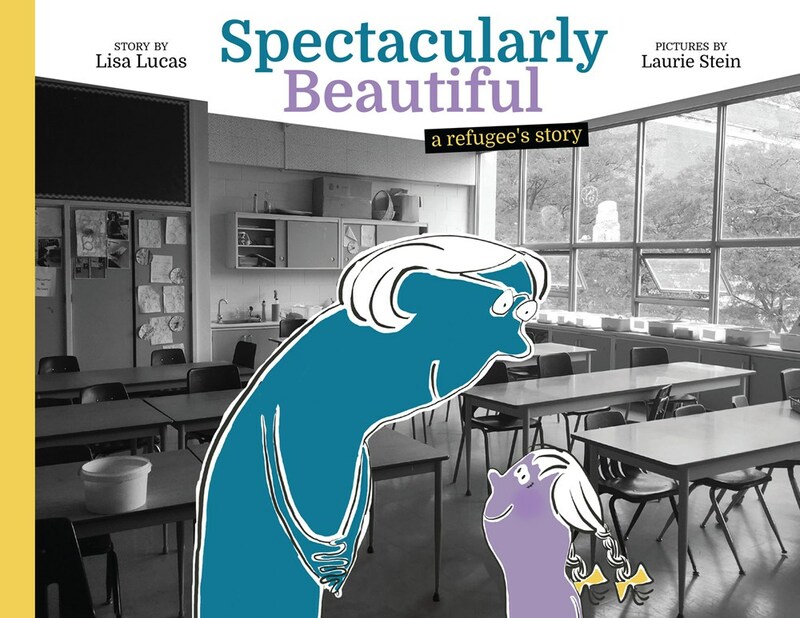 Spectacularly Beautiful tells the story of Shahad, a refugee who has moved to a new country and started at a new school with her new teacher, Ms. Truong. Shahad comes to school every day with perfectly braided hair tied in ribbons. But her hair can’t hide the scars on her face and leg that are painful reminders of the country she fled, making her feel less than beautiful, and different from her peers. When a class project proves difficult for Shahad, Ms. Truong helps her come to see that her scars are only part of her story, and that she is not just beautiful…she is spectacularly beautiful. Little by little Shahad’s confidence is renewed and she is able to return the same kindness to Ms. Truong. Lisa Lucas started her career writing for Reader’s Digest Magazine. She later wrote extensively on literacy and health, scripts for movies and television and historical fiction for Middle Readers. She was awarded the CIBC Children’s Miracle Maker Award and the Canada Post Community Literacy Award. Five years ago, she joined forces with Laurie Stein, a Canadian illustrator, and together they have created over 20 children’s books. Their work was recently recognized by The Canadian Children’s Book Centre.